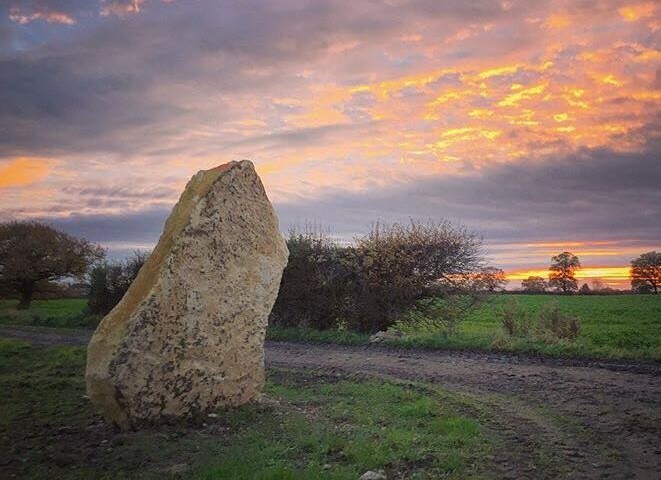 Three years of collaboration with Sacred Stones and researchers at Cambridge University has enabled the construction of a beautiful, sincere and enduring monument on our farm. 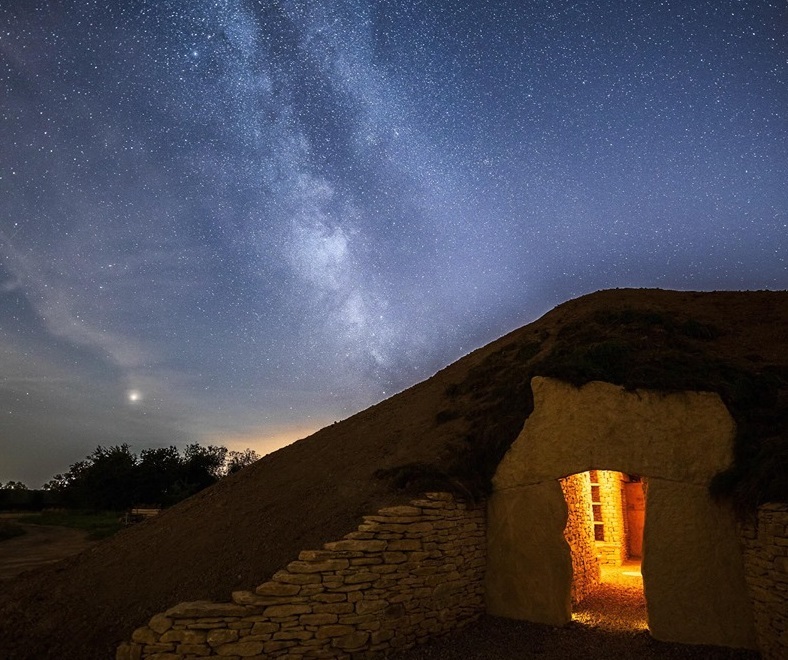 The Soulton Long Barrow is only the second such monument to have been built for 5,5000 years and takes its inspiration from the Neolithic period, and, like those ancient monuments, is a focus for honouring loved ones we have lost, for contemplation and celebration of live, and for supporting community and each other. The first chamber (there will be four in total) is now about 30% reserved. For enquires about reserving niches in the barrow please make contact with Sacred Stones here, or alterntively call Toby/Bev on 01234 780 280. There are periodic open days for the barrow. These are set out on the events section of the Soulton Hall website, which is best found by scrolling down the home page (here), these are also on the our social media channels and on the Scared Stones homepage. 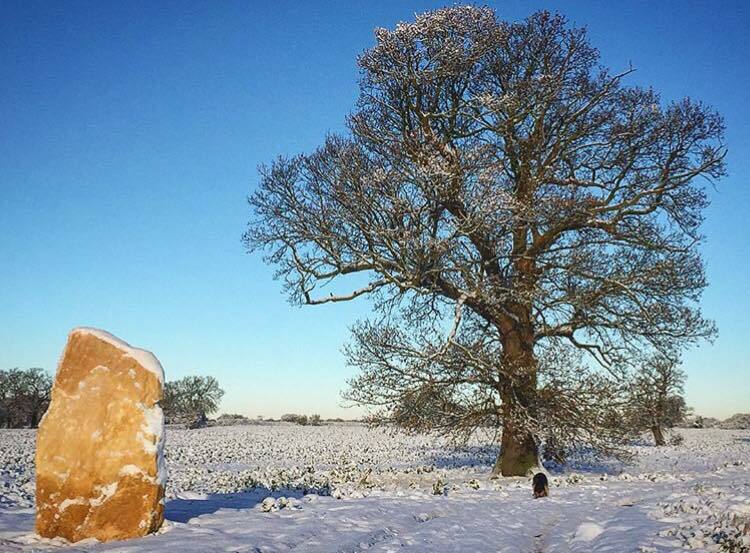 There is permissive access for the general public to the barrow site for the community, please park at the second drive for Soulton Hall (where there is a kink in a sandstone wall), safely cross the road to the north and follow the standing stones (pictured below). One of the important but initially surprising things about the barrow is the way it develops and sustains community and mutual support. It is very uplifiting to observe. There is a growing community around the barrow, some of whom are active on social media. You can see the group in the plug in below; the hashtage to use is #soultonlongbarrow if you wish to join in. An essay about the barrow was written by Tim which you can read here. 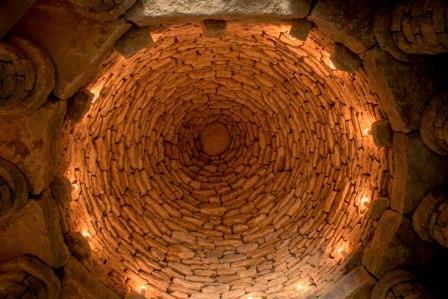 The Soulton Long Barrow has actvated an inspiring amount of creativity for all kinds of artists attracted by both the requirement to create memorials and also by the power and beauty of the project -- you can find out more about this energy here. We are fortunate that this project caught the minds for BBC Midlands and also Micheal and Rupert of Standing with Stones. Between the following three videos, a good sense of the motivations, the excitement and the fun and learning can be found. The last word on this project belongs the the families the monument is built for -- Diana explains how she feels below. A few videos to help with context and the history of barrows are set out below. Below is some arial footage of the barrow in Wiltshire, and how it sits in its lanscape. 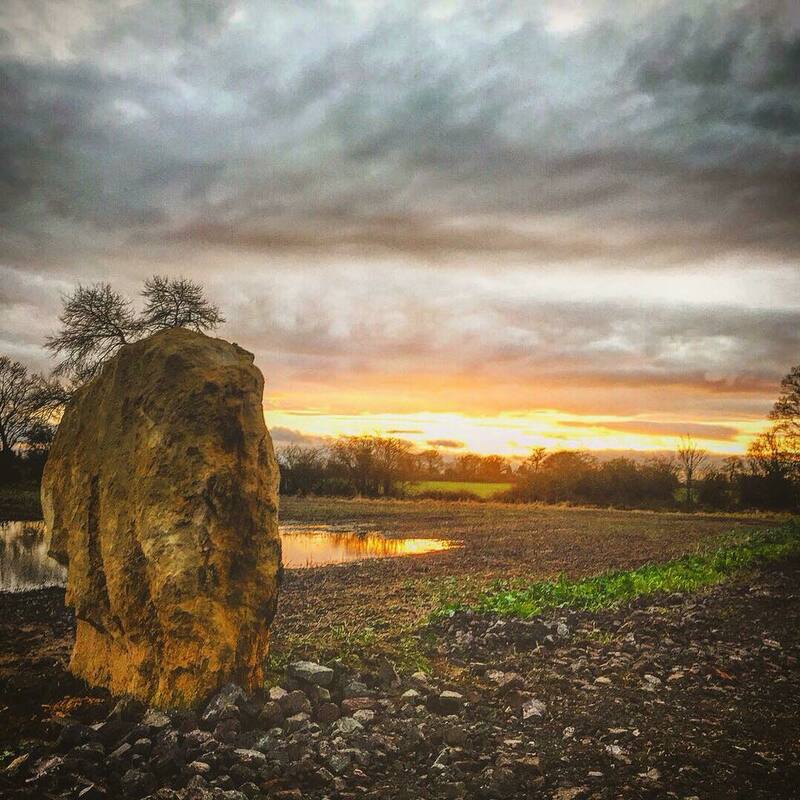 For those wanting learn a little more, or to put this project in context you may find the 'Standing with Stones' programe sequence of programes useful: an epic tour of the ancient standing stones of Britain and Ireland, a quest of discovery uncovers the extent and variety of our incredible megalithic heritage. Memory and engagement with nature was important for early barrows, and is just as important in the revival of the structures. This is the mindwinter sun rise at All Cannings. The plan here is to have a similar alignment on midsummer, with a light aperture looking to the winter sunrise. Building and involving the community from the very begining of the process is key to how we see this working to make a genuinly engaged and relevant monument for those that will find peace and memory there. The 'Shropshire Star' filmed this short video on the first Open Day, which had a great atmosphere.